Selects 15U teammates Ethan Phillips and P.J. 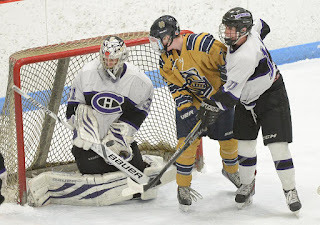 Fletcher both had good weekends against the Neponset Valley River Rats. In two wins on the weekend the Phillips had 3 goals and 3 assists while Fletcher had 2 goals and 1 assist. Phillips now has 29 points (12 goals 17 assists) in 22 games while Fletcher has 25 points (10 goals 15 assists) in 25 games. Both Phillips and Fletcher were put on the same line for the first time this season for the 15U Selects Academy team. Phillips third goal from Saturday's game is featured below in this Youtube clip. 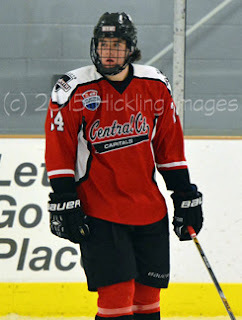 1997 forward Ryan Finnegan was traded from the Alberni Valley Bulldogs in the BCHL to the New Jersey Hitmen Premier (USPHL) for future considerations. In 16 games for the Bulldogs, Finnegan had only 4 assists. In 53 games a season ago between Alberini Valley and Merritt, he had 27 points (9 goals and 18 assists). In his first weekend with the Hitmen, Finnegan had a goal and 2 assists as the Hitmen split a pair of games on the weekend. 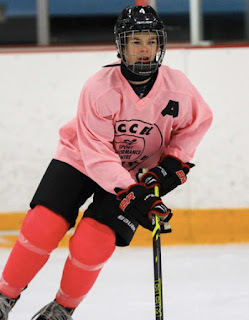 1997 forward Daniel Winslow has 4 points in his last 3 games for the New Jersey Hitmen Premier team. The Fairfield, CT native has 9 points (6 goals and 3 assists) in 15 games on the season for the Hitmen. 2000 defenseman John Campomenosi took part in the Beantown Fall Classic over the weekend for the New Jersey Hitmen 16U team. In 8 regular season games for the Hitmen he has 8 points (2 goals and 6 assists) from the blue line. Campomenosi is also going to play this season for Don Bosco Prep in Ramsey, New Jersey. He is one of many players to commit to the Bobcats over the years out of the Hitmen program. With the Bobcats off this weekend and the Beantown Fall Classic taking place its likely one or more of Rand Pecknold, Bill Riga and Joe Dumais attended. Quinnipiac has sent coaches the past few years to the Beantown Classic in order to scout and recruit players. There is no reason to think that won't change this year. 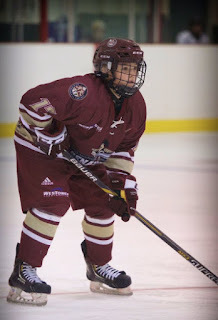 1999 forward Corey Clifton, the younger brother of current Bobcats Connor and Tim Clifton has 15 points in 17 games (4 goals and 11 assists) for the North Jersey Avalanche 18U team. The youngest of the Clifton's moved over to the Avalanche program after spending the last few years with the New Jersey Hitmen. 2001 defenseman Nicholas Kent has 9 points in 11 games for the Delta Hockey Academy Elite 15 team. The Ladera Ranch, CA native committed to Quinnipiac on September 28th of this year. Kent was selected in the 7th round by the Saskatoon Blades in the 2016 WHL Bantam Draft. He is playing for a Delta Hockey program where one of the coaches in the program is Matt Erhart a former Quinnipiac defenseman from 1999-2003. 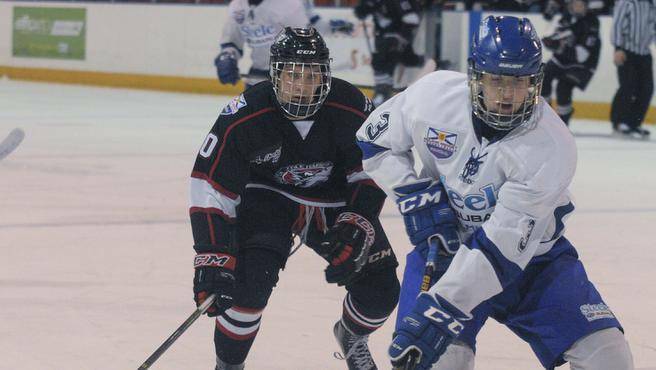 Its possible a new younger pipeline in British Columbia could be opening with Erhart at Delta Hockey Academy. 1997 forward Matt Creamer has 3 goals in his last 3 games for the Nanaimo Clippers of the British Columbia Hockey League. So far in 19 games on the season he has 11 points (6 goals and 5 assists). The Warwick, Rhode Island native was featured in a September 2016 article by the Providence Journal's Mark Divver on how Creamer is batting type I diabetes. With conference play opening the first week of November for Quinnipiac, they head to North Country for road tests against Clarkson and Saint Lawrence. Both of the North Country teams are expected to have good seasons based off the preseason ECAC coaches and media polls. 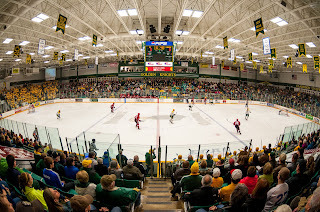 However, both teams have yet to get off to good starts as Clarkson is 3-4-1 (1-4 at home) while Saint Lawrence is 3-4-1 (2-1-1 at home) on the young season. Despite these early season struggles this road trip is not the easiest for any team to make. Quinnipiac has gotten off to a solid start this season with a 4-2-1 record but both of the losses have come on the road (Maine and Boston University). 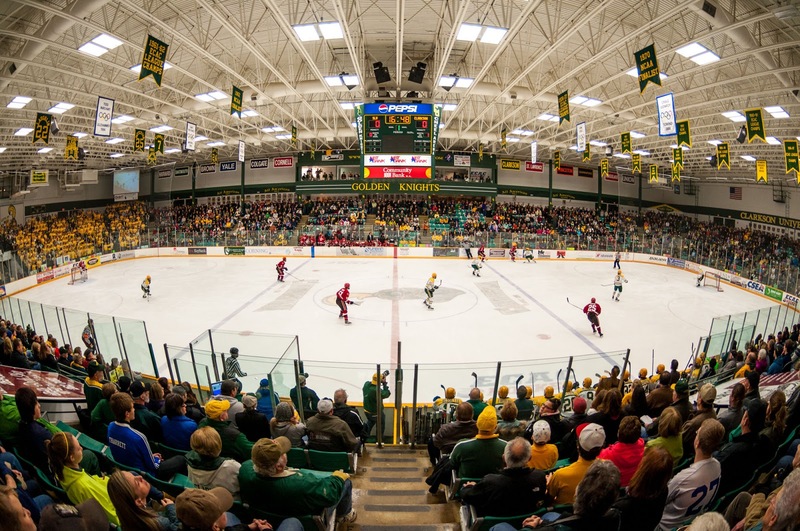 This might be the right time to play these North Country teams on the road despite some of Quinnipiac's struggles as Clarkson is struggling to win games at home and Saint Lawrence is transitioning to a new head coach in Mark Morris. With this not being the Bobcats longest road trip of the season (Belfast, Northern Ireland and Pittsburgh) this may be one of the more important ones. Getting off to a good start in conference play is important because it can set the tone for the rest of the season along with finding out what this Quinnipiac team is made of. The Bobcats are likely to be without Chase Priskie once again due to injury and its not known whether the ECAC will give Connor Clifton any additional discipline for his spearing penalty and game misconduct at the end of the UMass game this past Tuesday. 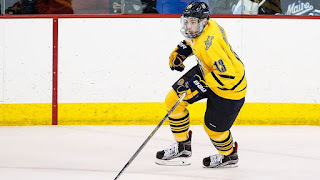 It's very possible that Quinnipiac could go into Friday's night game at Clarkson without two of their top defensemen who are also power play threats along with Kevin Duane who is battling an undisclosed injury. It's very likely they may have only one healthy scratch again. While the depth of the team is being tested in the early going, we should get a good look at the type of character this Bobcat team has and if they are a resilient bunch should they have a successful weekend on the road in two hostile environments. In the last five seasons the Bobcats are 3-1-1 at Clarkson while they are 3-2 at Saint Lawrence. The last time they swept the North Country trip was the 2012-13 season they won 5-2 and 6-2 against Clarkson and Saint Lawrence. Three of the last five seasons though, Quinnipiac has split on the North Country road trip. Quinnipiac has had time off to work on its special teams, something that has been a big problem for the team in the early going. Next weekend might be a good opportunity to get the power play going as both Clarkson and Saint Lawrence have given up nine and ten goals respectively on the penalty kills already in this young season. Quinnipiac could also improve their penalty kill during this road trip as both Saint Lawrence and Clarkson don't possess top power play teams so far on the season. The Bobcats need to better on special teams as this has been their bread and butter the past four seasons when making it to the NCAA tournament. Road trips like this have the ability to bring teams together. A three or four point weekend would definitely show that Rand Pecknold's team has the mentality and toughness to win on the road in the ECAC. Getting ahead in the ECAC standings is always important along with proving that the team can win conference games on the road against quality opponents. The Quinnipiac Bobcats men's ice hockey team has announced their broadcast schedule for the 2016-17 season. The team will appear six times on cable television between the SportsNet New York (SNY) and the American Sports Network (ASN). Quinnipiac hockey fans not traveling to Belfast, Northern Ireland over Thanksgiving will have the opportunity to watch the Bobcats in the Friendship Four tournament as the American Sports Network has picked up the coverage for those games. SportsNet New York has picked up the remaining four games of the package which are all Quinnipiac home games. Below is the official broadcast schedule for men's ice hockey. Quinnipiac University men's hockey coach Rand Pecknold picked up his 450th career victory with Tuesday's nights 3-2 win over UMass. He is 28th all time in wins according to USCHO.com and notched his 450th win in his 800th game at Quinnipiac. 425 of the wins have come at the Division I level. The reigning Spencer Penrose Award winner for the top coach in Division I hockey has been at the helm of Quinnipiac since the 1994-1995 season. He has led the Bobcats to five NCAA tournament appearances (2002, 2013, 2014, 2015, 2016), two trips to the Frozen Four (2013, 2016) and two National Runner-ups (2013, 2016). His teams have also won five regular season conference championships starting with two MAAC regular season titles in 2000 and 2001. He has won the ECAC regular season title three of the past four seasons (2013, 2015, 2016). Pecknold also led the program to a MAAC tournament title in 2002 and Quinnipiac's first ever ECAC tournament championship last year over Harvard. In addition to winning the Spencer Penrose Award in 2016, Pecknold was also recognized as the 2016 College Hockey News coach of the year along with winning the ECAC coach of year as well for the second time along with the first win back in 2013. As a native of Bedford, New Hampshire he was recently inducted into the New Hampshire hockey hall of fame for his contributions to the game. Despite 46 shots on goal and going 0 for 10 on the power play, the Quinnipiac University Bobcats won 3-2 on Tuesday night over the a pesky Massachusetts Minutemen squad. With the win the Bobcats improve to 4-2-1 on the season while UMass fell to 2-2. As they have in the five of the last six games, Quinnipiac got off to a hot start again. For the fourth time this season that lead was blown. The Bobcats jumped in front 10:36 into the first period when Tommy Schutt cleaned up a rebound from UMass sophomore goaltender Nic Renyard for the 1-0 lead. Freshman forward Alex Whelan recorded his first collegiate point with an assist while Bo Pieper was also credited with an assist. A little more than three and half minutes later, Bo Pieper made it 2-0 when he roofed one bar down past Renyard. Four minutes later, UMass responded on a wrap around goal by Ryan Badger who slipped it past the Bobcats Chris Truehl. 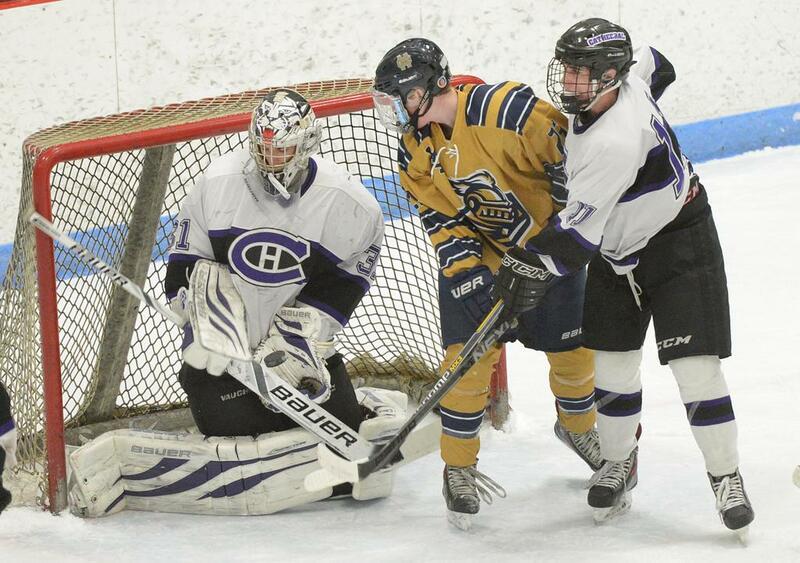 The junior net minder made several quality saves in the first period. The Minutemen even the score 12:09 into the second period when senior captain Steven Iacobellis scored a power play goal. Quinnipiac had two 5 on 3 power play opportunities that could not capitalize. In his post game press conference Rand Pecknold acknowledged that the lack of practice time so far has contributed to the ineffective power play early on this season. In the first half of the third period, Quinnipiac was forced to kill off a 30 second, 5 on 3 penalty when Thomas Aldworth and Tim Clifton took cross checking and tripping penalties respectively. Tanner MacMaster scored the game winning goal almost five minutes later when he his wrist shot from the right half wall beat Renyard far side. The Bobcats closed the game out with solid defense as the Minutemen couldn't pull the goaltender until there was less than 25 seconds left. The win might prove to be costly for senior captain, Connor Clifton as he took a five minute major penalty for spearing and was given a game misconduct at the 20:00 mark of the third period. The ECAC will likely review this for possible additional discipline. 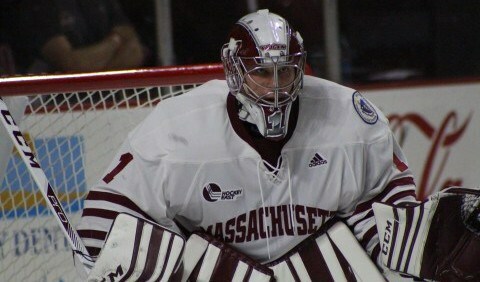 UMass goaltender Nic Renyard saved 43 shots in the loss while Chris Truehl made 17 saves for the win. Brogan Rafferty also picked up team leading fifth assist and also leads the Bobcats with six points on the season. Quinnipiac now has nine days off before they head to north country to face off against Clarkson on November 4th and Saint Lawrence on November 5th. This should give Rand Pecknold ample opportunity to work on the power play unit that is a dismal 6 for 55 on the year. No. 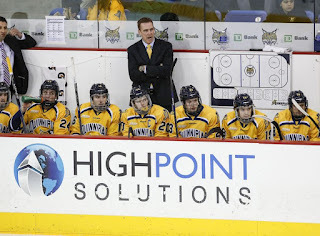 6/7 Quinnipiac has another weekday home game from a Hockey East opponent when the Massachusetts Minutemen travel to High Point Solutions Arena on Tuesday night. New UMass head coach Greg Carvel stunned the college hockey world when he left his alma mater, St. Lawrence University to accept the job at a perennial cellar dweller. Carvel left for more money and better facilities than what he had at St. Lawrence and should have more resources to recruit. Carvel was building something good at St. Lawrence taking over from the retired Joe Marsh. In his four seasons in Canton, NY he had a 72-63-15 record, but left a very good team now to current St. Lawrence coach Mark Morris. Carvel in 8 games against Quinnipiac is 3-4-1 but those two of those victories came at High Point Solutions arena in Hamden. The Minutemen enter Tuesday's game with a 2-1 record having played all 3 of the team's games at the Mullins Center so far. They opened with a win against Colorado College 3-0 before falling to the same team 7-4 the next night. 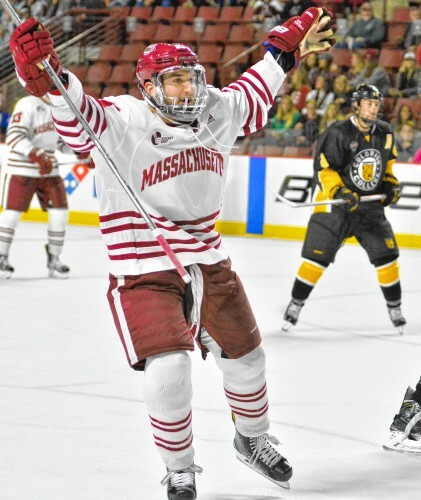 This past weekend, UMass beat Army 3-2. In the three games played, the Minutemen are averaging 3.33 goals per game while allowing 3.00 goals per game. They are in the bottom third in the country on the power play converting just 2 out 25 opportunities for 8%. The Minutemen are in the upper third of penalty kill in the country at 87.5% killing off 21 of 24 penalties. That could spell trouble for a Quinnipiac team that has struggled mightily on the power play this season (6 out of 45 for 13.33%) and will be without one of their top players on the point in Chase Priskie. This Minuteman team is far from the talent of Quinnipiac, having finished at the bottom of Hockey East each of the past two seasons. With Carvel being hired at the end of March, he had to put together almost an essentially new recruiting class in a short amount of time. 8 Freshman make up the 29 player roster for UMass with goaltender Ryan Wischow (2-0, 2.37 GAA, .923 save %) likely to get the start in net while forwards Jonny Lazarus (2 goals 2 assists) and Griff Jeszka (2 goals 1 assist) bring production up front from the freshman. Junior forwards Dominic Trento (4 assists) and Patrick Lee (1 goal 3 assists) are others to watch as well as senior captain Steven Iacobellis (67 career points). Quinnipiac's defense needs to be able cut off time and space from the Minutemen and keep them to the perimeter and suffocate them into turnovers and then use their defensive transition game to get the puck up quickly to the forwards to create scoring opportunities. UMass is not the biggest team up front so being physical with their forwards will be a key. The Bobcats on offense must get some traffic in front of likely starter Ryan Wischow who gave up 2 screened goals against Army on Friday night. UMass has a tall defensive core as most of their players are 6'2 or greater but they haven't generated a ton of offense from their blue line (5 assists). Quinnipiac will have to use speed and smarts to get around this tall defensive unit. The Minutemen's only two NHL draft picks are on the blue line in sophomore's William Lagesson (2014 4th round, Edmonton) and Ivan Chukarov (2015 7th round, Buffalo). It remains to be seen who will man the pipes for Quinnipiac as head coach Rand Pecknold has given junior Chris Truehl 4 starts, with freshman Andrew Shortridge getting 2 starts and the most recent game against Boston University. The Bobcats are 6-2-2 all time against the Minutemen with a 4-1 record against them at High Point Solutions Arena. Logan Mick has been suspended one game by ECAC Hockey according to College Hockey News ECAC writerJosh Seguin, for his hit from behind in Saturday night's game against Boston University. The play happened 6:36 into the first period. Mick was given a game misconduct leaving the Bobcats short a forward for the rest of the game. In two games played this season, Mick has not recorded a point. With Mick's one game suspension, it is possible that Rand Pecknold gives freshman Nick Jermain his first game action of the season or turns to senior Joe Fiala to play forward in the game tomorrow night against UMass Amherst. In a match up between two top ten programs, the No. 4/3 Quinnipiac University Bobcats travel to Boston, MA to face off against the No. 8/8 Boston University Terriers at Agganis Arena. This is Quinnipiac's first ever trip to Agganis and its second ever meeting with the Terriers. A season ago, the Terriers gave the Bobcats their only loss in the first semester and only regular season loss at High Point Solutions Arena winning in Hamden 4-1. One thing that has not changed is that the teams come into this game as highly ranked programs once again as both are coming off trips to the NCAA tournament with Quinnipiac being the national runner-up. 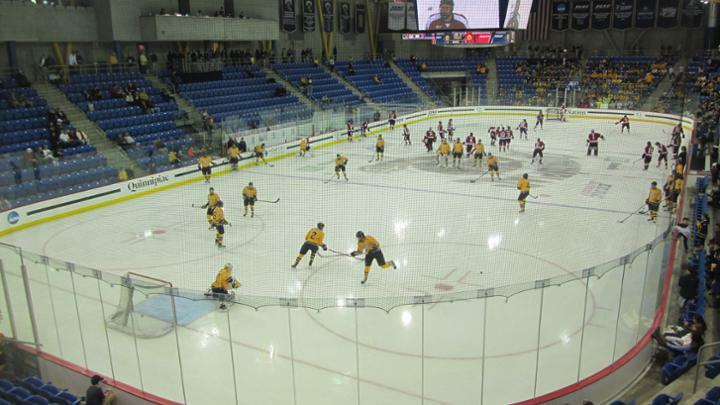 Quinnipiac lost some talent to graduation and early departures while Boston University imported what many experts consider to be the number one recruiting class in the country. 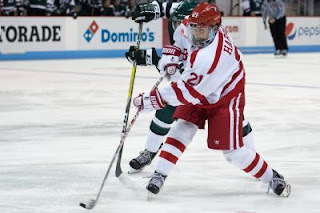 On paper no team in the country matches the high end talent that Boston University possesses. Boosting a collection of eleven NHL draft picks including four first round picks and four second round picks, the Terriers are loaded on offense and defense. If there is one thing that is lacking with them, the word that comes to mind is experience. 17 of the 26 players on the Boston University roster are underclassmen with 9 freshman and 8 sophomores. The Terriers boast a talented defense with a good mixture of size, speed, experience and youth. The six main stays on defense are all NHL draft picks. The leader of the defense is captain Doyle Somerby (2012 5th round, New York Islanders). He is the only senior of the group. Juniors Brandon Hickey (2014 3rd round, Calgary), John McLeod (2014 2nd round, Tampa Bay) and Brien Diffley round out the upperclassmen. Diffley has seen action in one game this season but has over the prior two seasons saw action in 68 games. 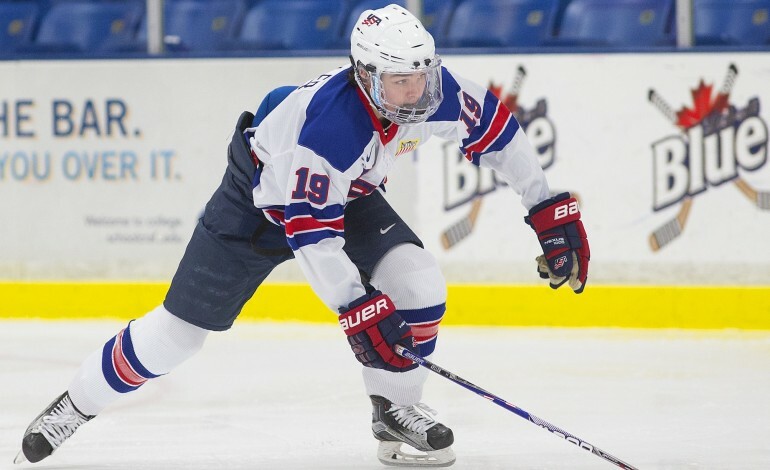 Sophomore Charlie McAvoy was drafted by the Boston Bruins with their first round pick this past season had 25 points as a freshman. Rounding out the defensive core Dante Fabbro (2016 1st Round, Nashville) who was the British Columbia Hockey League's top defenseman in 2015-16 and Chad Krys (2016 2nd round, Chicago) who comes to BU from the United States National Program. Quinnipiac's offense will need to try to get some of the younger defenseman on BU to make mistakes along with taking penalties to create increased scoring opportunities. The Terriers have a freshman, but talented goaltender in Jake Oettinger who is almost surely to go in the first two rounds of the 2017 draft. The 6'4 goaltender came to BU from the United States National Program. He has played in all three of the Terriers games so far posting a 2-2 record with a 1.78 GAA and a .937 save percentage. Quinnipiac will need to get as many chances as they can get on him and hope his inexperience shows up like it did on the road a week ago against Denver. BU has taken 31 penalties in its first four games, so for Quinnipiac to win a road contest against as good as a team as the Terriers, they will need to get onto the power play and to capitalize. Dave Quinn's team has been very good so far on the penalty kill as they have killed off 29 of 31 chances for a 93.5% clip. 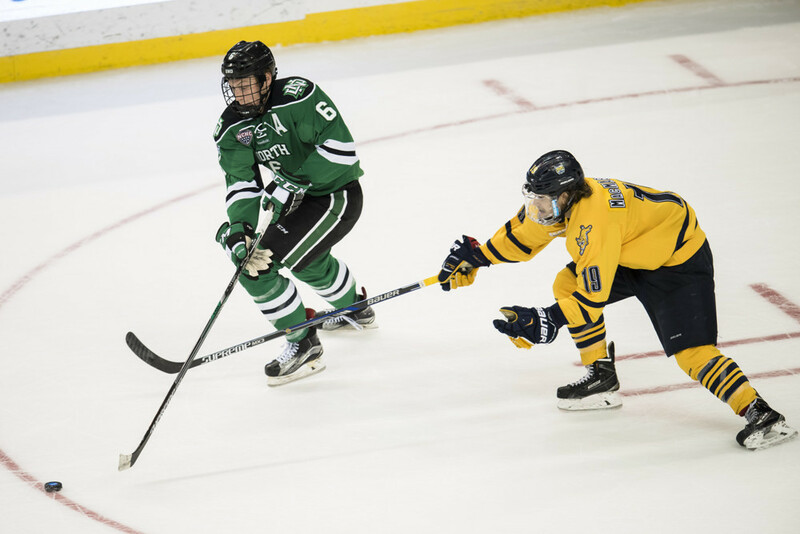 For Quinnipiac it must limit the penalties it takes because it is only a matter of time before the BU power play gets going with the talent they bring. The Bobcats have only killed off 82.4% of their penalty kills on the young season. Getting strong goal tending from likely starter Chris Truehl or freshman Andrew Shortridge is a must. I'd expect coach Pecknold to go with the experience that Chris Truehl brings in a game of this magnitude. Game like this go a long way in pairwise come March so a Quinnipiac win on the road could be key for them down the road if they can prevail against the Terriers. 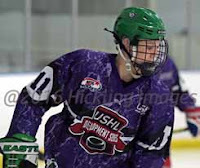 Quinnipiac picked up a verbal commitment yesterday from 2001 forward PJ Fletcher a Dallas, Texas native currently playing for Selects Academy U15 in Connecticut. "@Fletch88PJ Very proud to announce my commitment to play division 1 hockey at Quinnipiac University! Thank you to everyone who helped me along the way"
Fletcher played the 2015-16 season for the Dallas Stars Bantam Major AAA where he scored 9 goals and had 9 assists in 15 games. 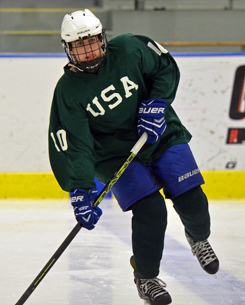 Listed currently at 5'10 165, Fletcher is a teammate with fellow Quinnipiac commit, '01 Ethan Phillips at one of the top 15U teams in the country at Selects Academy. Jeff Cox who scouts and writes for SBNation called Fletcher's style of play perfect for Rand Pecknold's system. He tweeted the following yesterday. ‏"@JeffCoxSports Selects Academy '01 F PJ Fletcher commits to Quinnipiac. His style of play is perfect for Rand Pecknold system. Does all the little things." He's likely to arrive in Hamden either in 2019 or 2020. 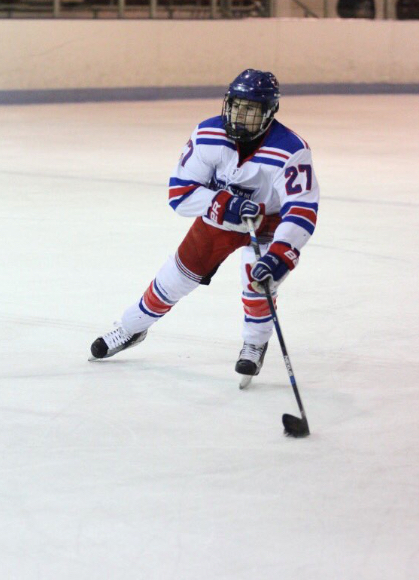 Fletcher is the 4th 2001 to commit to Quinnipiac following defenseman Nicholas Kent (Delta Hockey Academy), defenseman Domenick Fensore (Jr. Islanders U16) and forward Ethan Phillips (Selects Academy 15U). Quinnipiac has been busy on the recruiting trail in the last five weeks scoring verbals from five players. The program currently has 8 verbal commitments from players born from the year 2000 or later. For the fifth straight game, the Quinnipiac Bobcats men's ice hockey team got off to an early lead. Junior forward Andrew Taverner scored his team leading 3rd goal of the season (tied with Tim Clifton for goals) 7:54 into the 1st period on assists by Brogan Rafferty and Connor Clifton. Less than 30 seconds later, the Bobcats Chase Priskie was boarded head first by the Huskies Maxim Letunov. Priskie would not return to the game as he left bleeding. It's likely he had to receive stitches and was evaluated for a possible concussion. Letunov was given a 5 minute major for boarding and was tossed from the game. The Bobcats could not capitalize on the major penalty. Craig Martin capped the scoring in the 1st with 25 seconds left giving the Bobcats a 2-0 lead heading into intermission. The Huskies cut the lead to just a goal just 1:44 into the 2nd period on a power play goal from Spencer Naas. This is the fifth straight game that the Bobcats have allowed a power play. Quinnipiac's penalty kill has not been a strength so far in the young season as they are middle of the pack in the country at 82.4% unlike when they finished 3rd in the country a year ago at 89.1%. Two minutes after the Haas goal, the Bobcats answered when Thomas Aldworth scored on a wrap around goal beating the Huskies freshman goaltender Adam Huska. Connecticut once again cut the lead to just a goal as Karl El-Mir scored at 9:17 into the 2nd period. Less than 2 minutes later Quinnipiac extended its lead again when freshman defenseman Brogan Rafferty dazzled a five-hole goal through Huska. A little more than a minute later, Connor Clifton capped the scoring as he roofed a shot past Huska. The Bobcats clamped down on defense in the 3rd period and goaltender Chris Truehl made 13 saves in the period. Stars of this game include Rafferty (1 goal, 1 assist), Andrew Taverner (1 goal 1 assist), Connor Clifton (1 goal, 1 assist) and Chris Truehl whose play should not be over looked. He made some dazzling saves to keep the Bobcats lead in tact. Truehl finished the night with 29 saves. Rand Pecknold was forced to adjust early in this game with Priskie not returning. Current forward and former defenseman, Luke Shiplo moved back to his natural position and played a solid game on the blue line. Freshman Alex Whelan saw his first game action of the season and had to be used on multiple lines with Shiplo moving back to defense. Whelan impressed with his ability to create scoring opportunities as he finished with 3 shots on the night. He is someone who deserves some more ice time with his play last night. Twelve different Bobcat players scored a point last night and that is the type of way they will need to win games when they gave contributions from many players. Quinnipiac played with a very aggressive fore check and that is always a huge key when the Bobcats are winning. Quinnipiac returns to action on Saturday night when they travel to Boston, MA to face off against 8th ranked Boston University at Agganis Arena. Game time is 7:00 pm. For many years Quinnipiac's bread and butter recruiting area was British Columbia with the many players coming from the province's British Columbia Hockey League in Canada. When initially building his program from a Division 2 program into a full fledged Division 1 program, head coach Rand Pecknold had to look to western Canada to find talent for his hockey program. He was one of the early pioneers of recruiting in the BCHL leading to other programs to follow suit. The league produces many college commitments only behind the United States Hockey League in terms of the number of commitments. Quinnipiac was able to score some of its bests players out of the BCHL with 5 scorers in the programs top 10 playing there, prior to coming to Hamden. Brian Herbert, Bryan Leitch, Brandon Wong, Ben Nelson and Ryan Olson all scored well over 100 points in there career for Quinnipiac and all were recruited out of the BCHL. With British Columbia being recruited by all sixty Division 1 programs, winning recruiting battles for top prospects there has become even more difficult. 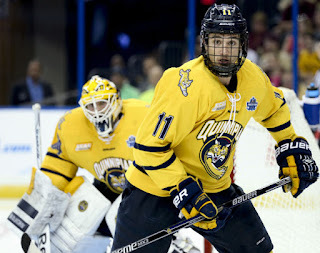 However, the Quinnipiac hockey name has grown considerably over the past four seasons with four consecutive trips to the NCAA tournament along with two trips to the Frozen Four (2013, 2016) and playing for the national championship twice. With hockey growing in the states like Connecticut, Rhode Island, New York, and New Jersey, Quinnipiac has been able to get future commitments from players closer to the school. However they are still going into Canada except this time they are started to unlock potential talent in eastern Canada most notably Nova Scotia. When people think of hockey provinces in Canada the first that come to mind is always Ontario, British Columbia and Quebec as these three provinces have stocked college and professional hockey with some the games greatest talents. Nova Scotia is a place where many people link to the fishing industry but recently they are putting some great talents in professional hockey headlined by Sidney Crosby, Nathan MacKinnon and Brad Marchand. Quinnipiac has started to break ground on this talent bed in securing verbal commitments from defenseman Peter Diliberatore (2000), who is now playing the 2016-2017 season at Salisbury School in CT. Ethan Phillips (2001) a forward gave a verbal last November and is now playing at Selects Academy (South Kent School, CT) U-15 program. This past weekend the Bobcats got another verbal commitment from forward Jacob Quillan (2002) who is playing for the Steele Subaru Major Midget program with mostly 2000's and 2001's on the roster. Recruiting players this young can have its positives and negatives. The positives are that the player's development continues and you have a really good player down the road in 3-4 years and they eventually sign a national letter of intent with the program. The negatives are the player does not continue his development as they get older and play in better leagues. With this being only a verbal nothing is set in stone until these players sign letters of intent. Other negatives are these players are possible major junior flight risks or they improve so well that they re-open their recruitment for other schools. Diliberatore was already selected by a Quebec Major Junior Hockey League team in Halifax Mooseheads (2016, 4th round). Diliberatore grew up in the Halifax area so this has the possibly of a commitment lost to major juniors. He was however selected in the USHL draft as well by the Sioux Falls Stampede (2016, 10th round). The fact he decided to play a prep season at Salisbury might be a plus in Quinnipiac's favor. Phillips a 2001 is someone who I would expect to be taken in the 2017 QMJHL draft. He is another player playing in CT at the South Kent School. A season ago he put up 56 points in 33 games playing major bantam as 14 year old. If he has a really good year at Selects Academy I'd expect he would also be drafted in the 2017 USHL phase I draft. Quillan became Quinnipiac's second 2002 to verbally commit after Victor Czerneckianair, Mid Fairfield U14 verbally committed two weeks ago. The Dartmouth, Nova Scotia native is playing up a level this season in major midget for Steele Subaru. In 8 games he has posted 4 assists. With the talent increasing in eastern Canada I would expect that Quinnipiac will increase its scouting there along with the northeast and mid-atlantic states to secure high end talent in order to reach the pinnacle of college hockey. Quinnipiac has a mid week matchup with it's in state rival the Connecticut Huskies. Mike Cavanaugh's team is off to a solid start at 2-0-2. They swept Alabama Huntsville and followed that up with road ties at Colgate and Rochester Institute of Technology. Connecticut was picked 7th in the preseason coaches Hockey East poll and they have the talent to finish higher than that if things break right for them. All time against the Huskies, Quinnipiac is 13-11-2 with a 7-5-1 record at home and a 2-0 record at High Point Solutions Arena. They are led by Tage Thompson (2016 NHL 1st round, St. Louis) the 6'5 sophomore forward out of Orange, CT has already tallied 6 points in 4 games (4 goals, 2 assists). Fellow sophomore Maxim Letunov (2014 NHL 2nd round, San Jose) has 5 assists in 4 games played. The top six scorers for the Huskies are a mixture of four sophomores and two juniors. Quinnipiac's defense will have a tough matchup with this set of forwards as many of them bring a lot of size. The Bobcats must be physical with them in the neutral zone and cut off the Huskies spacing in order to have success. Both Connor Clifton and Derek Smith must rebound from a poor weekend of play at Maine in order for the Bobcats to have success on defense. They are captains of the team and the leaders of the defense that needs to show improvement. The Huskies feature one of the biggest defenses size wise you will see in college hockey with 7 of the 8 defenseman on the roster 6'2 or greater. They have good mixture of youth and experience on defense. The big names back there are Joseph Masonius (2016 NHL 6th round, Pittsburgh) and Miles Gendron (2014 NHL 3rd round, Ottawa) are both talented sophomores for the Huskies. Quinnipiac will need to use their speed against the bigger Huskies to get into the offensive zone to create scoring opportunities. Connecticut features two talented goaltenders in senior Rob Nichols (2-0-1, 1.30 GAA .944 Save %) and freshman Adam Huska (2016 NHL 7th round, NY Rangers) who got the start in the 1-1 tie against RIT. Huska is the bigger goalie in net while Nichols has the experience as this is his 3rd full season as the starter. Either player starting against the Bobcats should be a challenge. On paper this is a very tough matchup as the Huskies come into the game 4th in the nation in team defense at 1.25 goals allowed and they are 15th in scoring offense at 3.75 goals per game. They have one of the nations best penalty kills early on killing off 20 of 21 power plays on the season. Their power play is middle of the pack scoring on just 3 chances out of 23. Quinnipiac must be able to stay out of the box this game along with playing better defense in front of either Chris Truehl or Andrew Shortridge depending on which one of them gets the start. Quinnipiac's power play came alive last weekend at Maine with 3 goals. Getting the Huskies to take penalties to get on to the power play would be a good way to win this matchup against a quality opponent. The Bobcats have gotten off to fast starts with leads in each of the 4 games they have played this year. They need to do that again tomorrow night but also be able to close out the game like previous years Quinnipiac teams have been able to do.